Your winter paradise is just a 2-hour flight away! So what's stopping you? Discover winter on the sunny side of the Alps! 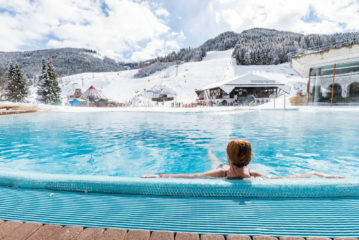 Dive into the Bad Kleinkirchheim region and experience winter from its most glorious side. 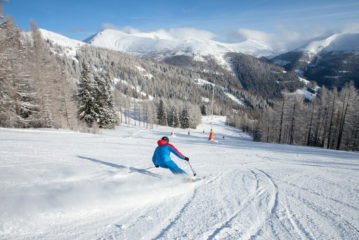 103km of expertly groomed, family-friendly pistes, the unique "Kärnten – Franz Klammer" World Cup downhill run, 23 ski huts ranging from traditional to trendy, 60km of winter hiking trails, snow shoe hikes, ice-skating on natural ice rinks and tobogganing runs – and 2 thermal spas directly in the town! Visitors are truly spoilt for choice. Ski rental and ski courses at discounted rates, bookable on site! All rates per person in a double room. With Easyjet directly to Carinthia from London Gatwick! Kärnten Transfer – your airport shuttle in Carinthia! Sunshine moments for dedicated skiers! Discover winter on the sunny side of the Alps, in the rolling hills of the Nockberge mountains. 103km of expertly groomed pistes and family-friendly downhill runs will delight the heart of any skier. If you are a pro, you are in for a special treat: Carinthia's only active World Cup downhill run is located in Bad Kleinkirchheim. 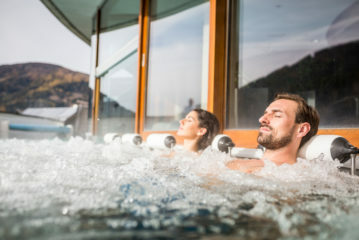 The two thermal spas located in the town add to its unique winter atmosphere - there is nothing like a stint in the soothing thermal waters after an active day in the great outdoors. Jump on that plane and touch down on the slopes... and finish the day in the soothing waters of our thermal spa. Where, you say? Just a short flight away, in the Bad Kleinkirchheim region, where holidaymakers enjoy the many facets of the Southern Alps. 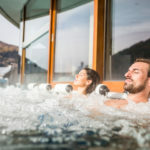 103km of expertly groomed pistes, 23 mountain huts serving regional specialties and 2 thermal spas offering relaxation and regeneration after an active day on the slopes. True sunshine moments for winter enthusiasts! 103km of beautifully maintained pistes, 2 thermal spas, 60km of winter hiking trails and 23 cosy mountain huts - discover all that and much more in the Bad Kleinkirchheim region! Jump on that plane and touch down on top of the world just 2 hours later - at the heart of the Carinthian Nockberge, on the sunny side of the Alps! In principle, we collect and use personal data of our users only to the extent necessary for the provision of a functional website and our content and services. The collection and use of personal data of our users takes place regularly only with the consent of the user. An exception applies to cases in which prior consent can not be obtained for reasons of fact and the processing of the data is permitted by law. The website also uses some external tools, which are listed in more detail below. If you are interested in not being tracked by third parties while surfing the Internet, we recommend that you use a browser plugin such as disconnect.me, which tracks these tracers from e.g. Google Analytics or Facebook prevents. Every visit to a website requires personal data, such as your IP address, without which your request can not be made. This is necessary to be able to play a website in the first place. These data are stored in log files, and deleted after seven days. There is no evaluation for marketing purposes, this is only the technical verification of the systems. In this case, there is a legitimate interest in accordance with Art. 6 para. 1 lit. F DSVGO. Please note that for the purpose of request processing and contacting, your personal data will be stored after you voluntarily fill in the appropriate form fields. This storage is necessary for orderly fulfillment to process your request. The data are processed on servers of the following German company, and transferred to the systems of the requested enterprise. Data processing takes place on the basis of the statutory provisions of § 96 (3) TKG and Art. 6 para. 1 lit a (consent) and / or lit b (necessary for fulfillment of the contract) of the GDPR. We have concluded a corresponding contract data processing contract with the provider. Your IP address is detected but pseudonymized immediately (e.g., by deleting the last 8 bits). As a result, only a rough localization is possible. Our concern in the sense of the DSGVO (legitimate interest) is the improvement of our offer and our website. Since the privacy of our users is important to us, the user data. The user data are kept for statistical purposes indefinitely, but after a few months anonymized by personal data in order not to allow permanent conclusions, but to provide an overall statistics for the website. The website uses Google Maps to provide you with geographic information. For technical reasons, your IP address and other information will be transmitted to Google Inc., 1600 Amphitheater Parkway, Mountain View, CA 94043, USA. This website may host videos hosted on YouTube, a service at Google Inc., 1600 Amphitheater Parkway, Mountain View, CA 94043, USA. Watching a YouTube video transfers personal information to Google. This website uses social plugins from Facebook. In principle, you have the rights to information, correction, deletion, restriction, data portability, revocation and opposition. If you believe that the processing of your data violates data protection law or if your data protection claims have otherwise been violated in a way, you can complain to the supervisory authority. In Austria, this is the data protection authority.